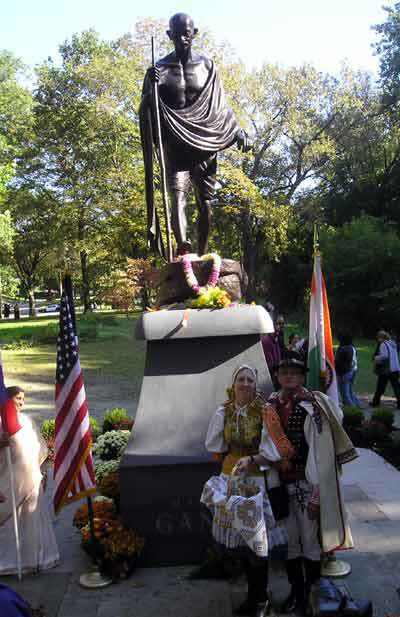 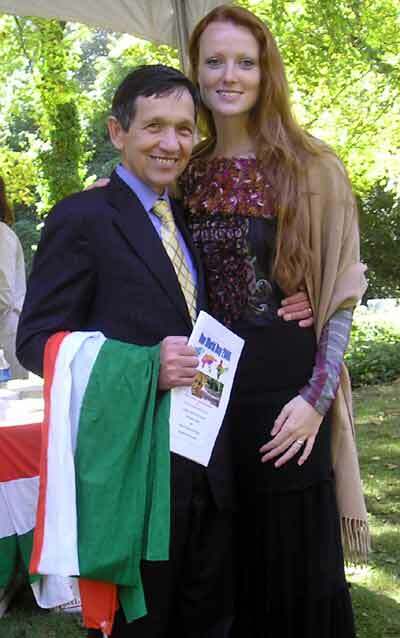 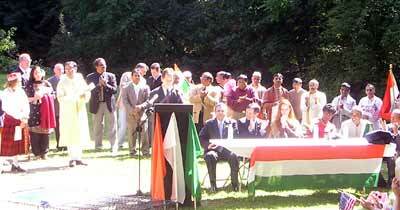 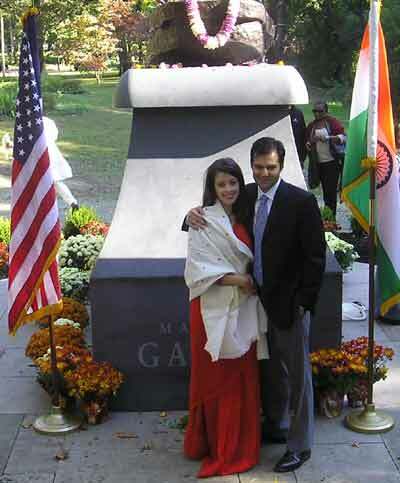 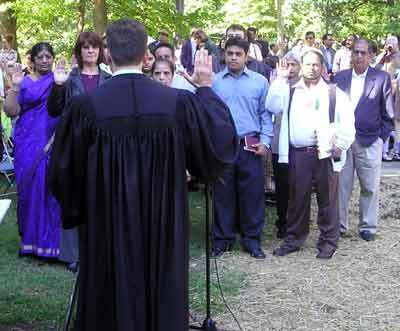 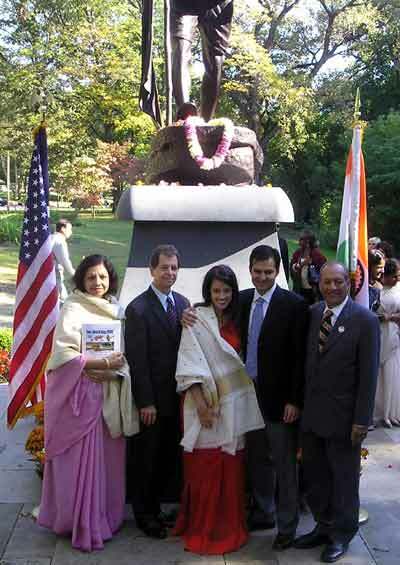 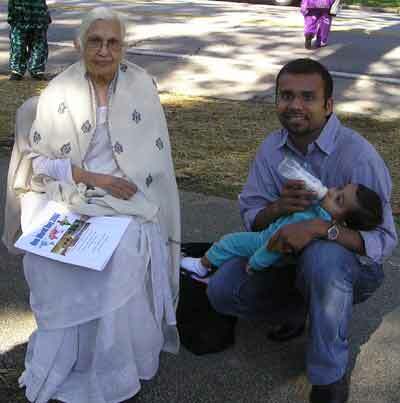 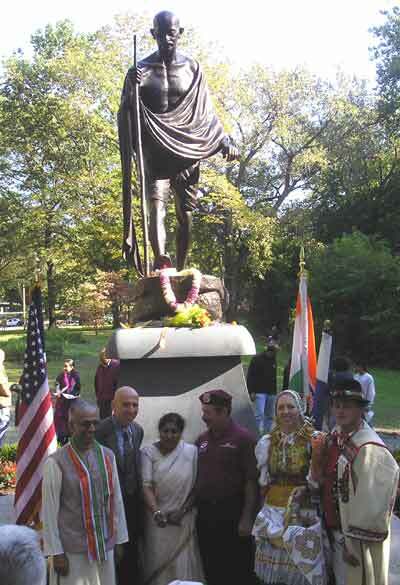 The Cleveland Asian Indian community, and many others, came together Sunday October 1, 2006 for the introduction of the Indian Cultural Garden and the unveiling and dedication of the Mahatma Gandhi statue. 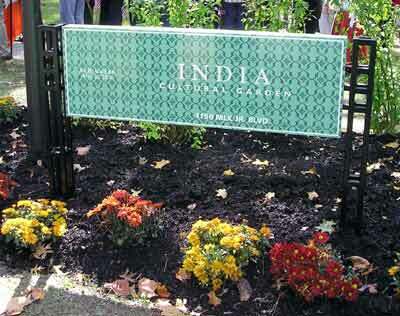 Please contact us if you are interested in the Indian community in Cleveland. 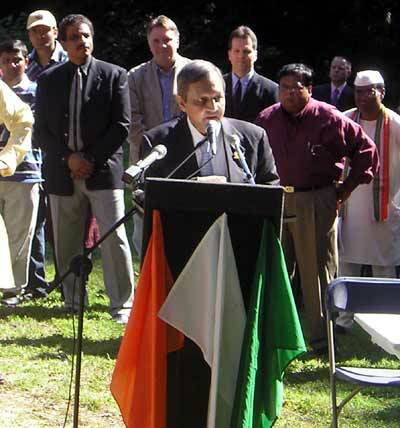 Ambassador Sen welcomed the crowd on behalf of India, the world's largest democracy and home of 1.1 billion people. 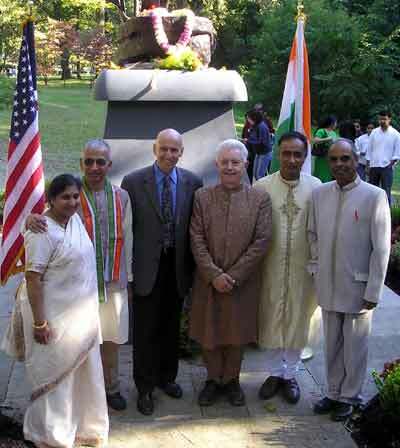 He told how when Dr. Martin Luther King Jr. visited India that he was greeted more enthusiastically than any head of state. 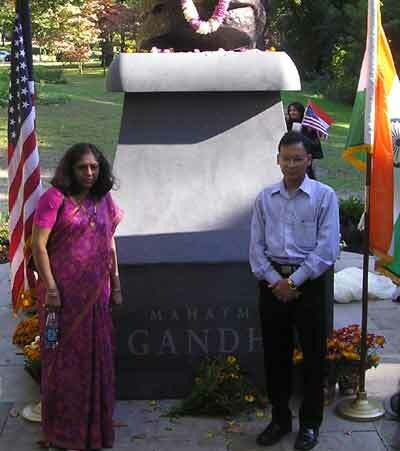 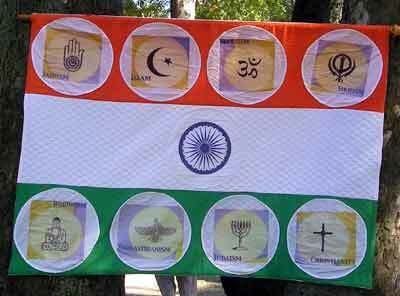 When asked about this visit to India, Dr King replied that it was not a visit. " 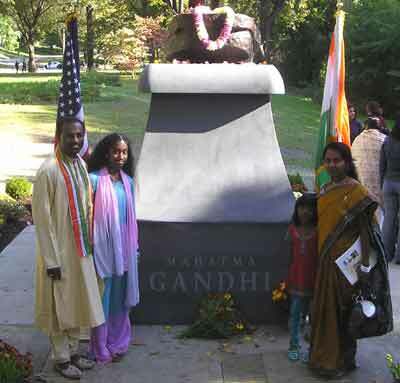 I've come here on a pilgrimage to the land of Gandhi." 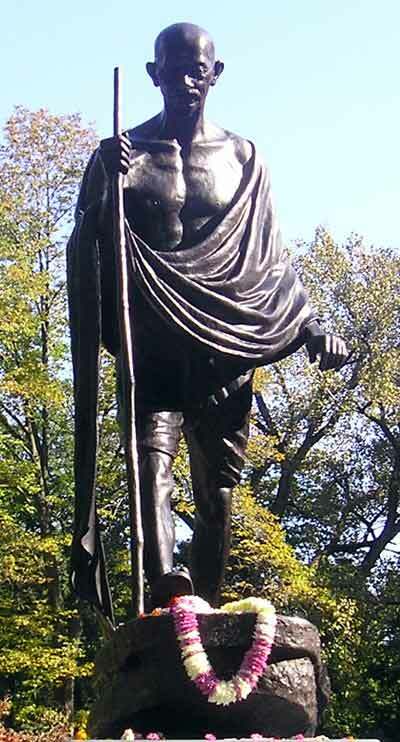 Quote from the side of the Mahatma Gandhi statue: I do not want my house to be walled in on all sides and my windows to be stuffed. 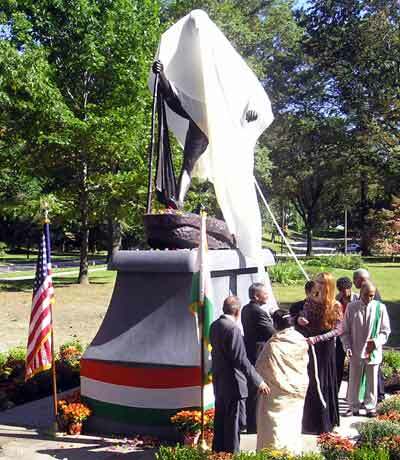 I want the cultures of all the lands to be blown about my house as freely as possible but I refuse to be blown off my feet by any. 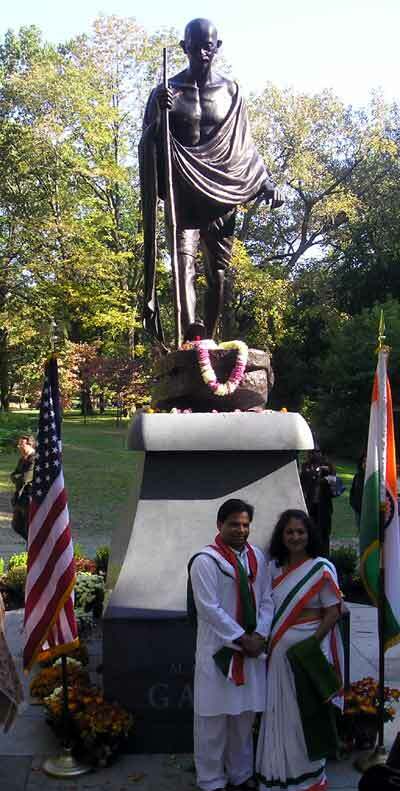 Quote from the other side of the Mahatma Gandhi statue: Ahimsa (Non-violence) is the greatest force at the disposal of mankind. 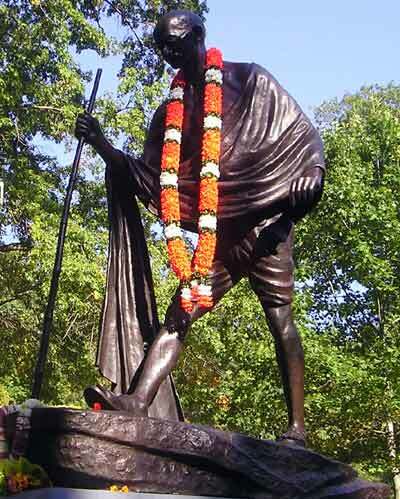 It is mightier than the mightiest weapon of destruction devised by the ingenuity of man.